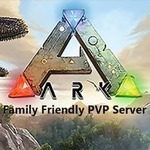 Due to a lack of interest by players for The Center map and the lack of support by the Ark Devs in the way of updates and vision for it, we have decided to change the server Map to The Island. We will be switching the Map around 12pm Sunday so please upload your Characters and Dinos at any obelisk. We are sorry for any inconvenience but we rather make the change now while there are but a few number of active players than wait until there are many more. We feel The Center Map will not have the support the Island map will in the future. Once the new Map is live resources will be set to X6 Harvesting for the first week in order to help with building. Remember that only your Character and Dinos will be able to be transferred your Items will not carry over.